The beginning of the year is a great time to reflect. For me, today is about meditating and journaling. The start of the year is the perfect time to start a new habit. Yogi Bhajan says practicing every day for 40 days straight will break any negative habits that block you from the expansion possible through the kriya or mantra. I am in love with Kirtan Kriya in general, and the Cross-Heart version is extra special. I find it to be incredibly clearing and peaceful. This meditation works on The Negative Mind, The Negative Mind is there to protect us, but when it is too loud, it can stop us from moving forward and taking action. When The Negative Mind is too quiet, we can find ourselves repeating mistakes of the past. This is a great meditation for bringing The Negative Mind into balance. You will be able to learn quickly from your past, and see new ways to clean it up and avoid repeating the same lessons. I am going to add this meditation to my daily meditation for the next 40 days. I invite you to do this along with me and let me know how it goes! I created an audio file that will include tuning in, a quick basic spine series warm up and then 11 minutes of Cross Heart Kirtan Kriya, followed by 3 minutes of the Gong. There will be music and I will be calling out all the cues. You can listen to the audio below. “Ong Namo Guru Dev Namo” said three times. Ong Namo: I bow to the Creative Wisdom, Guru Dev Namo: I bow to the Divine Teacher within. Quick WARM UP of Basic Spine Flex. Come into Easy Pose (a comfortable cross-legged sitting position). Inhale as you lift the chest up high and tilt the pelvis forward. Then exhale, round the lower back, and rock the pelvis back. Remember to lift the chest up high on each inhale and keep the chin level to the ground in both positions. This is good to lubricate the spine, and move the energy. It adjusts the spine, strengthens the nervous and reproductive systems, and brings the emotions into balance. It is not part of the meditation, but beneficial to warm up the spine. Posture: Sit in easy pose with a straight spine. Cross the forearms below the wrist and place them in front of the chest. Arms should be out slightly and angled a bit up towards the chest. Eye Focus: Look down to the tip of your nose. Chant “Sa Ta Na Ma” out loud and press the corresponding fingers to your thumb on each syllable. Your arms should be like the drawing above, across your chest. These pictures are just to show you the changing fingers for the meditation. Happy New Year, may 2019 be filled with happiness, joy, good health, abundance, compassion and love. *While the energy is amplified during the Full Moon, please note this meditation can be done at any time. You can also just do the guided part whenever you feel called to. The energy of the Full Moon in Scorpio is one of the most intense, and transforming Full Moons of the year. Scorpio is the sign of death and rebirth. In order to create the new, we have to acknowledge what needs to die. This Scorpio Full moon has a huge potential for incredible transformation. The Scorpio Full Moon, brings awareness to the things that we often don't want to see. The things about ourselves that we try to keep hidden. It can be uncomfortable. On the positive side of that, the true healing and unblocking comes once we have acknowledged what we have been trying to avoid. So really go deep in looking for what you have been hiding, avoiding. Because of the incredible healing that can occur during this time, I created a guided meditation for you to help bring up what you are having trouble with, and then to replace it healing, love. and acceptance. Think of it as a mini Energy Session. It is filled with Reiki + Sound + Guidance + Healing. Reiki energy healing can move time and space, so you will feel it, even though you are not with me at the time I recored it for you. Please create a sacred space for yourself, light your incense + candle, take out your crystals. Start by clearing your crystals with Sage or Palo Santo. (For a little guidance on clearing and crystals check out my Instagram Highlights and click on the one for Clearing). I created this Playlist for the journaling. It is the perfect energy for what this Full Moon is bringing up. Now take out your journal and just start to go in. See what is coming up for you. What is it that you want to release? What is is that you won't acknowledge about yourself? What is it that you need to let go of in order to move closer to being comfortable being you.? How would it feel knowing that all you need to be is YOU. Once you have completed the journal portion, you are ready for the digital healing session. I hope you enjoy it and feel some release. This meditation can be done at any time, not just for the Full Moon. Healing and releasing is amplified during the full moon. You will have the extra help for the next few days. This is the first time in over a year that I have held a New Moon event. I am so excited to see you there! Please note there are limited spaces, so please sign up soon. You will leave with your own sacred tools to continue setting your intentions when you return home. There will be a guided Reiki Healing + Intentions ceremony that will be amplified with the Power of the New Moon. Please note, while it is great to do this with the Full Moon, you can really start ANYTIME, so don't make excuses why you can't start TODAY! Words are singularly the most powerful force available to humanity. We can choose to use this force constructively with words of encouragement, or destructively using words of despair. Words have energy and power with the ability to help, to heal, to hinder, to hurt, to harm, to humiliate and to humble. The focus of tonight's full Moon in Libra, is about communication, balance and relationships. It is the relationship with ourselves, our word and with others around us. I know that I can have moments where my inner voice is having lots of negative things to say! Usually when that voice is out of wack, I notice that my outer voice can be less than kind to the people and about the people around me. When that is happening it's as if I can literally feel a block in my chakras through my heart and my throat. So, for tonight's Full Moon, I have decided to switch it up. 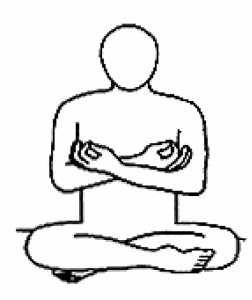 Instead of listening to a mantra and journaling, I am going to start a new 40 Day Kundalini Mediation of Antar Naad Mudra. This meditation has a special meaning for me, as it was my first 40 day 31 minute personal Sadhana. It is considered a seed mantra, and helps to open the chakras so that the other mantras can be received in full effect. Yogi Bhajan said, anyone who practices this meditation will be granted prosperity, creativity, and protection against attacks. That includes self attacks and you attacking others. I will still clear and charge my crystals with the Full Moon, and you can checkout THIS POST if you want a great journaling and crystal clearing exercise. If you haven't gone through it yet, I truly suggest you do, it is about letting go of habits, and thankfully one moon cycle later, I am still committed to letting my three go! OK, back to Antar Naad Mudra. There will be the one we do tonight, and you will see me explain it on the video below, and then starting tomorrow night, you continue to the same playlist, but you change from swooping through the chakras, to instead sitting with your hands in buddhi mudra. See instruction below. Playlist HERE- Start tuning in with the GONG, then let the mantra play a few times while you are just doing the movement, then move into chanting along. This version will only be practiced on the FULL MOON. If you are starting this on a night that is not a full moon, please start with the latter version. This version of the meditation is a key to opening the flow of Kundalini. The new awareness will give you the authority to make the right choices to conquer the ugliness of life. You will be peaceful and secure. Sa Ray Sa Sa, Sa Ray Sa Sa, Sa Ray Sa Sa, Sa Rang Har Ray Har Har, Har Ray Har Har, Har Ray Har Har, Har Rang: Adversity melts before this mantra. This mantra takes away negativity from within oneself awakening the Infinite Creative energy to burn away obstacles to achieving higher consciousness. It gives you the capacity of effective communication so your words contain mastery and impact. This mantra helps you conquer the wisdom of the past, present, and future. It brings you peace and prosperity even if it wasn’t in your destiny. 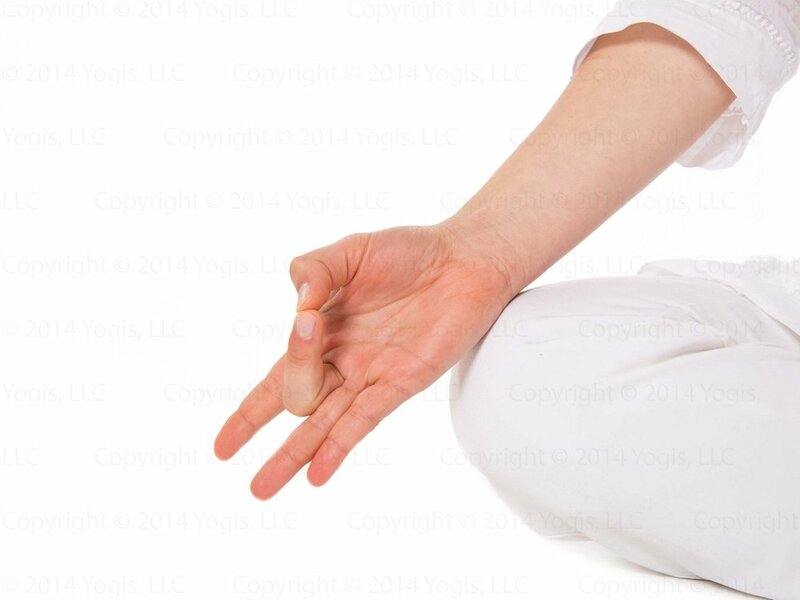 Mudra and Movement: Put the hands flat together in Prayer Pose at the Navel Point. As the mantra starts with Sa Ray Sa Sa start to bring the palms up the center front of the torso, about 4·6 inches in front of the body. As you pass the Heart Center, begin to open the hand mudra to make an open lotus by the time the hands reach the level of the Brow Point. The open lotus has the base of the palms together. The little fingertips touch, the thumb tips touch, and the rest of the fingers are spread open. As the mantra begins Har Ray Har Har turn the fingers to point down, with the back of the hands touching. Please start here if you are starting this on a night that is not a full moon. Posture: Sit in an Easy Pose, with a light jalandhar bandh. Mudra: Keep the spine straight. Let the arms extend straight and rest over the knees. 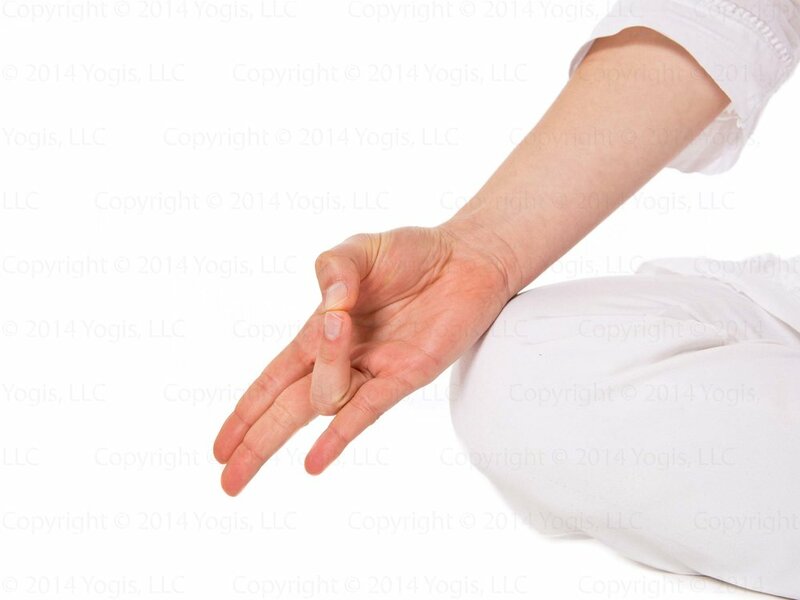 Make Buddhi Mudra with both hands (touch the thumb tips to the tips of the little fingers). The other fingers are relaxed but straight. Become completely still, physically and mentally, like a calm ocean. After I complete the meditation, I will start to journal. Because the New Year falls on a Full Moon, one of the most powerful ones of 2018, i am going to take extra time with this entry. I will play THIS PLAYLIST I will write out all of the lessons I learned in 2017. I'll reflect on what I want to let go of. I will take the lessons, but leave the habits and stories that no longer serve me. It is an important time to be letting go of what you no longer need, and moving forward in the direction of the life you want. This Full Moon i all about letting go of patterns, beliefs ,stories etc that we do not want to carry forward. When I am finished, I will burn the entry or throw it down the toilet. You can follow my previous post about FULL MOON RITUALS, if you want to read more details for my ritual. 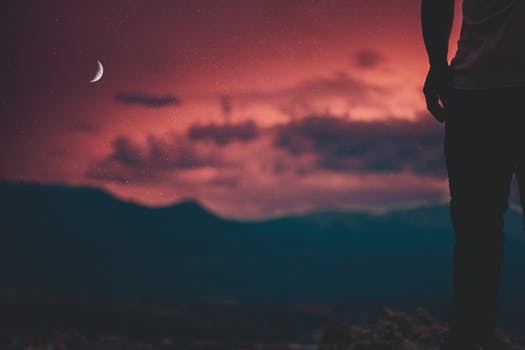 If you want to learn more about this Full Moon, head over to Elephant Journal , they have a great report on this powerful Full Moon. If you are looking for a little extra help with making 2018 a year beyond your wildest dreams, Book a One on One Session with me! Looking forward to connecting!